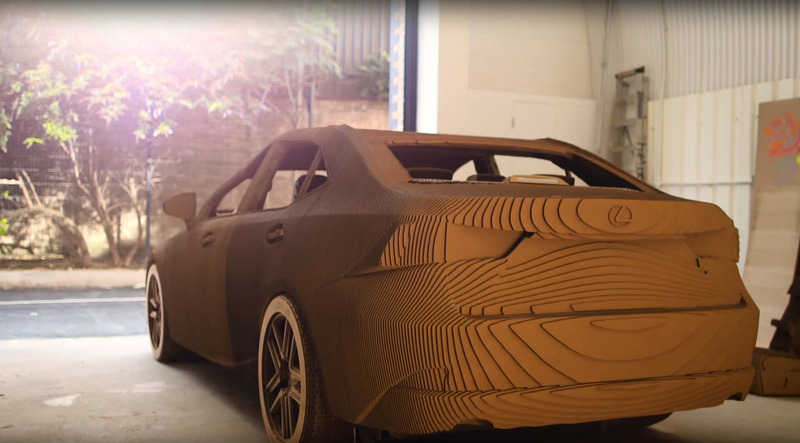 Over the past summer, Lexus commissioned some creative London hipsters to create a full-sized cardboard version of the Lexus IS. 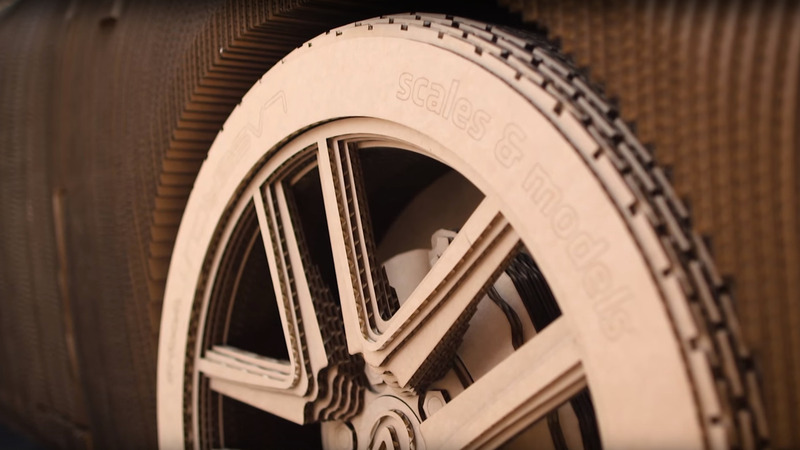 The team at Scales & Models teamed up with Lasercut Works and started with the original CAD drawings used in production. 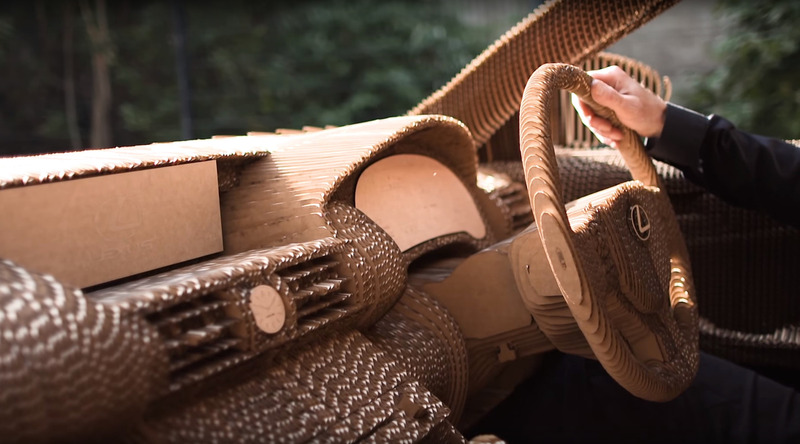 Based on these drawings the car was built by laser-cutting thousands of sheets of cardboard and glueing them together to form a laminated cardboard structure. The bodywork is supported by PVC pipes which run the length of the vehicle to make it easier to align each piece precisely. For strength, the model sits on a flat tray on castors. The beauty of this project is in the detailing and craftsmanship. 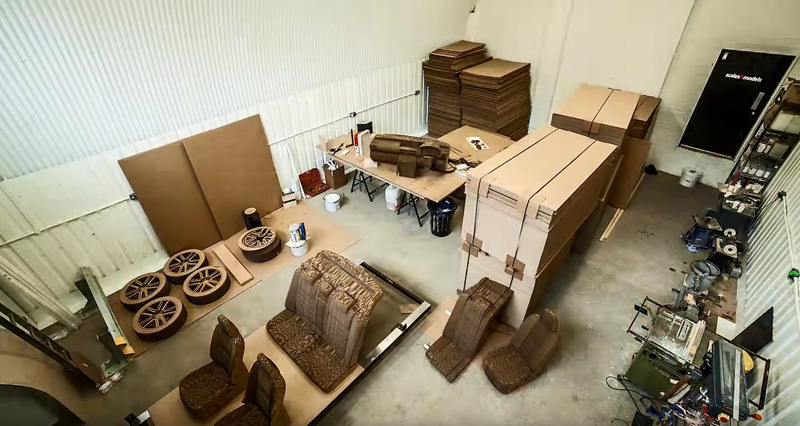 Designers worked with the three faces of cardboard - using gradients and grain - to create textures on the vehicle. 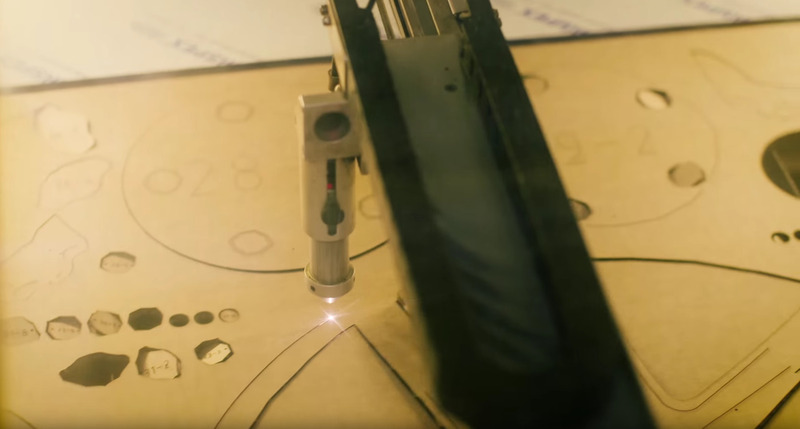 The grill for example, uses the cardboard end-on. The result is a an accurate, complex solid 3D object created from a flat 2D material. The wheels and seats are areas of particularly great detail. In an explicable move, Lexus called this the Origami Car - which makes no sense since origami is the art of folding a (usually single sheet) of paper to form an object. Probably the branding team thought cardboard car sounded a little too ghetto. 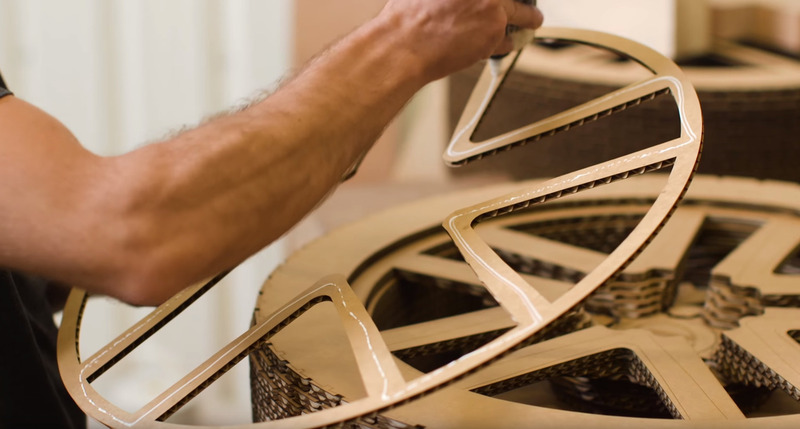 But in a somewhat tenuous link, Lexus claims the car is inspired "as a celebration of the skills of Lexus’s takumi craftsmen and women, capturing the spirit of Creating Amazing in design and engineering. The skilled men and women – known as takumi – who work on the Lexus production lines hone their dexterity skills by learning how to fold paper into a origami model cat, using only their non-dominant hand. 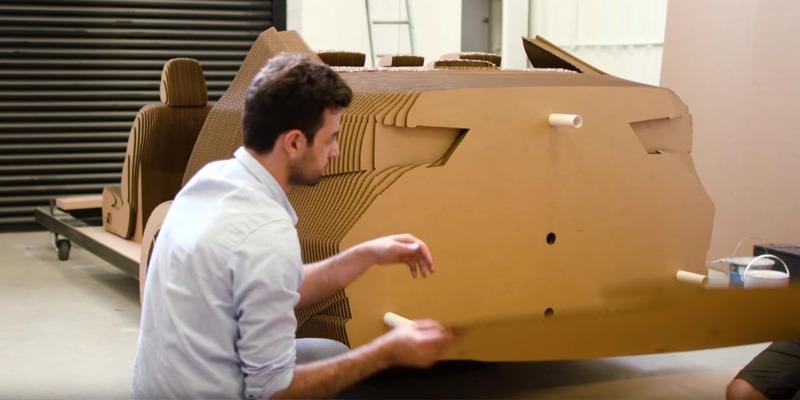 [This] Origami Car takes the spirit of this talent to a far higher level." Whatever, it's an outstanding piece of creativity, design and engineering. Just don't drive it in the rain, or it'll become a soggy papier-maché version.